Set sail with this unique nautical pillow. 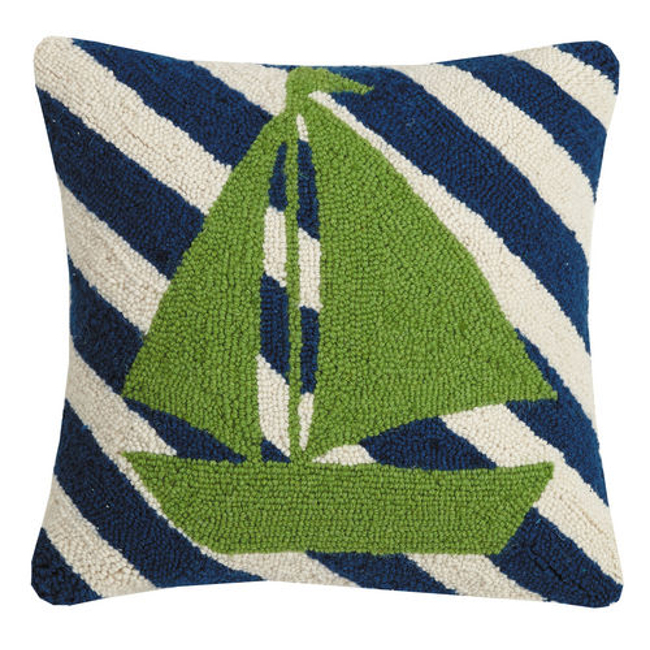 A sailboat is centered on this stripped hook pillow. Nautical pillow measures: 16" x 16"